Authentic Pushcart Umbrellas with bottom poles as used on famous Worksman New York Carts. Available in wide range of COLORS. Authentic Pushcart Umbrellas with bottom poles as used on famous Worksman New York Carts are ideal for both commercial and residential use. 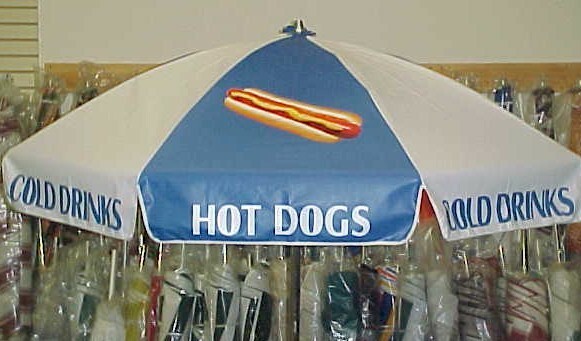 These 6.5 foot diameter vinyl umbrellas are available in a variety of color choices and some are even imprinted for popular food items. Whether you currently have a pushcart and seek a new umbrella, a restaurant which requires table umbrellas or want a classic umbrella for your outdoor furniture, these economical, sturdy and attractive umbrellas are a great choice. 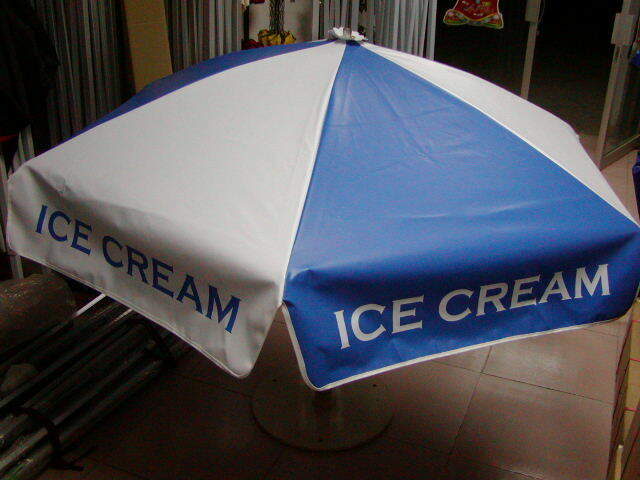 Umbrella have 1.5" diameter aluminum pole and include bottom slide in pole section.